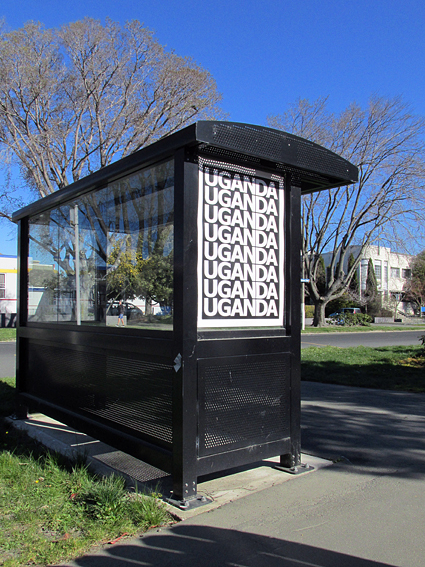 Twenty years ago, Alfredo Jaar produced a poster project in response to the genocidal crisis in RWANDA. 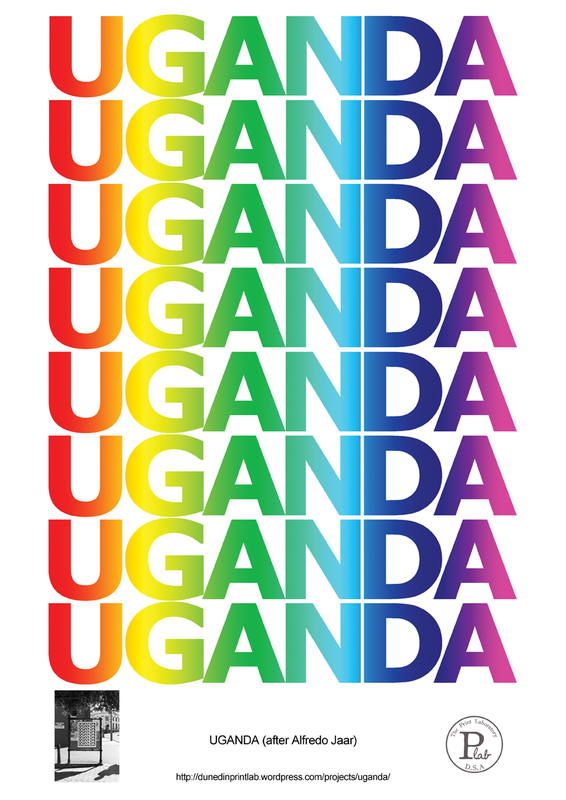 This work, UGANDA, is a response to both that project and a more recent example of a gross breach of human rights. Please feel free to print your own copy. 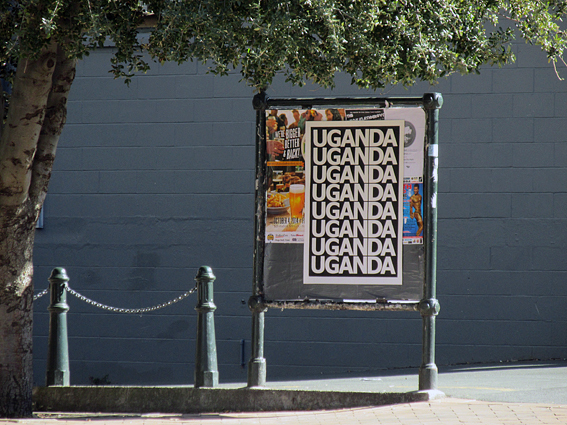 Produced in the P Lab, this work includes a double sided, single coloured screenprint poster with the word UGANDA on one side and an image of the poster taken in situ on the other side. 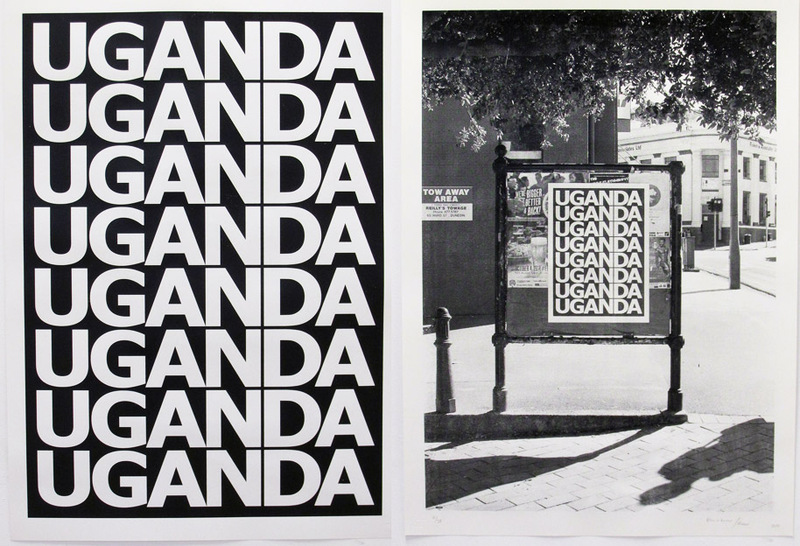 Along with the single colour poster is an A3 risograph poster for the postal project and the above web version for distribution. 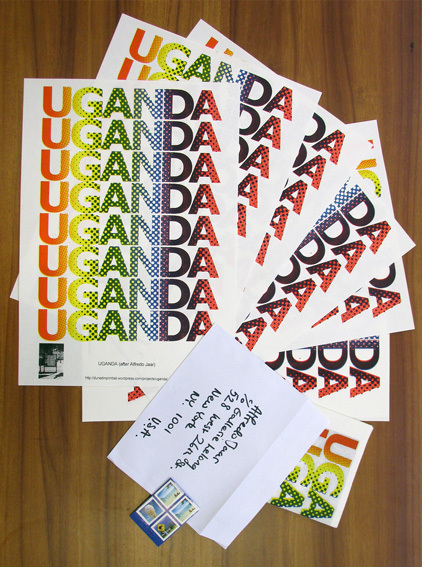 The risograph posters are mailed to our print contacts all over the world. A limited edition of posters are for sale if you would like to support the funding of our mail out. Please contact us for further information.